What budgeting products are available? You put money on your card from your bank account (or your income can be paid automatically onto it). You can then only spend what is on your card. 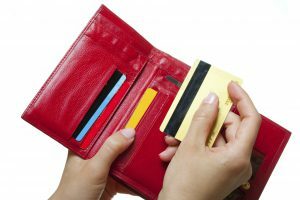 It is recommended to leave money needed for bills in your bank account, rather than having all your income go onto the card. Most cards will work anywhere accepting MasterCard or Visa, as well as at most cash machines, but you should always check first. You can make online purchases, cancel the card if it is stolen, and usually obtain a card even with a poor credit rating history. However, you could incur charges for using your card, which can be quite expensive depending on how often you use it. You cannot always set up automatic bill payments for rent and other similar bills. For some people this is a very important feature, so you should check if it is available before choosing this option. You may choose to move to this type of bank account, offering a debit card, an automatic bill-paying option and also no permitted overdraft limit (past a small buffer zone). You can quickly check your balance at cash machines, online and on the phone, and also pay your bills using Direct Debit. You do not need to pass a credit check as there is no overdraft facility. However, if you do not have enough money in your account to cover a payment, it may be rejected. You could also be prevented from withdrawing/paying in money at bank branches, or using another bank’s cash machine. You do not always receive a cheque book too. A jam jar (or budgeting bank) account allows you to create different ‘jars’ in your account for money to be divided into, such as having a jar for bills, a jar for savings, and also a jar for spending. By calculating your income and outgoings you can decide how much you need for the bills, how much you want to save, and how much you then have to spend. Because the money is automatically set aside, you should never end up missing any bill payments. You can also set up Direct Debits, and therefore not be charged for refused payments. Some features can include text alerts if your balance is low, and advice on how to manage your money. However, there are normally monthly fees for these accounts, which can be expensive (approximately £10 to £15), so again, consider carefully whether other budgeting products will be better.